PPC Management for Law firm requires special attention of someone who have experience of working in the legal industry because they have State Bar, Ethics and advertising regulations. If your ads found not following those advertising regulations than you and your law firm can be in trouble. The reason is because these are million dollar cases and every firm that deal with these cases are bidding for these keywords which makes it more expensive and if you don’t get a client against your clicks than you cannot survive in the market for long time. That’s why you need help of a PPC expert so that they can handle your campaigns and you handle your client’s cases. How Webrageous Can Help with Legal PPC Management? We are expert in PPC management for law firms because we have been doing this from last 10 years. We have experience in most of the legal areas like criminal defense, bankruptcy, employment law etc. but we are specialize in 3 major areas personal injury, divorce/family law and pharmaceutical liability. Most of our legal clients are working with us from more than 3 years and they are amazed with the results they are getting at the moment. Bellow is the screenshot of one our legal client weekly report see how we help them drop cost per lead from $504 to $319. 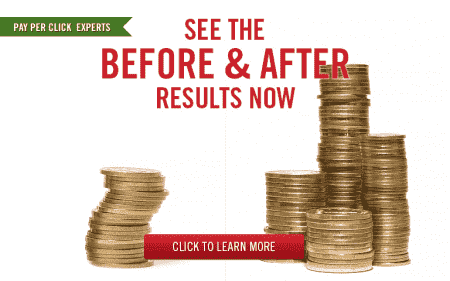 They simply save $185 per lead which leads to more profit. Our clients trust us and that’s why most our clients spend more than $100,000 per month on their ppc campaigns and make millions in revenue from PPC. We follow 3 simple rules Find the best keywords, Be highly relevant when writing ads and creating landing pages, Bid to be in top positions. Before we start finding keywords we sit down with our client and discuss what kind of cases are best for them. Based on that discussion we proceed with our keyword research. We use tools like Google keyword planner, SEMRush and Spyfu and try to find a list of all possible keywords that are relevant to our client. We focus on long tail keywords with 3 or 4 words instead of general keywords because they are less expensive and more convertible. For example if the client deal in auto accident cases in Dallas than the keyword car accident lawyer Dallas is much more relevant than accident lawyer. This is how we filter out the best keywords for our clients and run them. Targeting the right keywords is the initial step after that we make sure that we write down highly targeted ads for each keyword and have highly relevant well designed landing page. A page that is well optimized to converts clicks into leads. For example, if a user searches for car accident lawyer Dallas they would prefer to click on the ad that says car accident lawyer in Dallas and then on the landing page they would expect to see information about the lawyer or law firm who deal with car accidents in Dallas area along with their contact info such as phone number or enquiry form. It’s also better to have Lawyer or Law firm qualifications & achievements on the landing page. That’s increases user trust and they feel more comfortable to contact you. This is the most challenging part since the legal industry is very expensive so we have to be very careful here. After we find out what keywords can bring a great lead for our client we try to bid as much as possible to be on top positions for those keywords. We also bid based on the devices. Since most of the searches now happen on mobile that’s why we try to bid more for mobile devices even if it cost us more than desktop. We have seen that mobile convert’s best in legal industry compare to desktop so we spend 80% of the budget on mobile and other 20% on desktop. We are one of the best Legal PPC management firm in the market. Our account managers have more than 5 years of experience in managing ppc campaigns. We have A+ Better Business Bureau rating and most of our clients have been working with us form more than 3 years. You can check the testimonials of some of our client yourself and see how we can bring in the same result for your firm too. If you are a law firm and looking to get some million dollar cases through online advertising than we are here to help. Get in touch using the form below or call us at 800-645-9521.